ABUJA, Nigeria. Nov. 20, 2013 (BUSINESS WIRE/ME NewsWire) The National Basketball Association (NBA), Women's National Basketball Association (WNBA), Africare and ExxonMobil today announced the launch of “Power Forward,” a youth engagement initiative that will use basketball to develop health, leadership and life skills in Nigeria. Nigerian native and Hall of Famer Hakeem Olajuwon, fellow countryman and former NBA player Obinna Ekezie and three-time WNBA champion Swin Cash joined leading Nigerian government officials in tipping off the program today during a two-day launch event in Abuja. “Power Forward” is being introduced at 10 public and private high schools in Abuja and will engage 300 students, with equal representation of boys and girls. The NBA, WNBA, Africare and ExxonMobil have worked with local school and education officials to develop the innovative program. Africare collaborated with YEDI (Youth Empowerment and Development Initiative) to create the initiative's comprehensive life skills element. This includes a curriculum that teaches leadership skills and builds health awareness through a combination of classroom and athletic activities. Students will progress along a clear path, and be evaluated at different stages, so they have goals to strive toward during the program. Each school will have a coach assigned to oversee the curriculum, guide students through lessons and monitor progress. The partners have committed to ensure each institution has the supplies, support and basketball facilities it needs to make this program a success. The launch was marked by a two-day “tip-off” event held at the Government Secondary School in Wuse and the Old Parade Ground in Abuja. Olajuwon, Ekezie and Cash joined 100 youth participants on the court for a series of basketball drills. Basketball is Nigeria's second most popular sport with increased interest at the grassroots level across the country following the national team's first-ever qualification in the Olympic Basketball Tournament in 2012. Over 20 current and former players with Nigerian descent have played in the NBA, more than any other African country. "The objectives of the initiative are at the heart of what our federation strives to achieve with the young people we work with: getting them to stay in school and be useful members of society, and cultivating a sound mind in a sound body,” said Tijjani Umar, President, Nigeria Basketball Federation. “This way, the future of the game is also guaranteed in our country. It is therefore natural for us to support this program." “Power Forward” is aligned with ongoing efforts of the Nigerian government, such as the Saving One Million Lives campaign, to drive economic prosperity and improve public heath, particularly among youth. This program will bolster these efforts by teaching crucial skills to Nigerian youth. The program is designed so that the initial participants, who will all be in their final three years of high school, can then mentor younger students, magnifying the program's impact. In addition to the tip-off event in Abuja, the partnership will include additional milestone events in Nigeria and Washington, D.C. later in the school year. NBA and WNBA players, legends, coaches, and trainers will unite to call attention to the importance of youth empowerment and allow both boys and girls to meet positive role models. Through these events, the partners hope to raise awareness of the importance of investing in youth and galvanize new commitments for action. Africare is a leading non-governmental organization (NGO) committed to addressing African development and policy issues by working in partnership with African people to build sustainable, healthy and productive communities. Since 1970, Africare has provided well over $1 billion of assistance and support through more than 2,500 projects in Agriculture & Food Security; Water, Sanitation & Hygiene; Women's Empowerment; and Health, HIV & AIDS that have impacted millions of beneficiaries in 36 countries in Africa. Visit www.africare.org for more information. 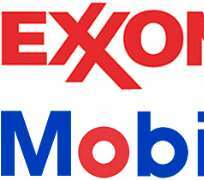 ExxonMobil and the ExxonMobil Foundation engage in a range of philanthropic activities that improve basic education, promote women as catalysts for development, and combat malaria and other infectious diseases in developing countries. In 2012, together with its employees and retirees, ExxonMobil, its divisions and affiliates, and the ExxonMobil Foundation provided $256 million in contributions worldwide. Additional information on ExxonMobil's community partnerships and contribution programs is available at www.exxonmobil.com/community. The NBA is a global sports and media business built around three professional sports leagues: the National Basketball Association, the Women's National Basketball Association, and the NBA Development League. The league has established a major international presence with games and programming in 215 countries and territories in 47 languages and NBA merchandise for sale in more than 125,000 stores in 100 countries on 6 continents. NBA rosters currently feature a record 92 international players from 39 countries and territories. NBA Digital's assets include NBA TV, which is available in more than 61 million U.S. homes, and NBA.com, which averages more than 42 million page views per day, more than half of which originate from outside of North America. The NBA is the No. 1 professional sports league on social media, with more than 475 million likes and followers globally across all league, team, and player platforms. Through NBA Cares, the league and its teams and players have donated more than $225 million to charity, completed more than 2.6 million hours of hands-on community service, and created more than 830 places where kids and families can live, learn, or play.